So 2013 was a year of awesome books. but here are a few that I read and absolutely loved! 1. 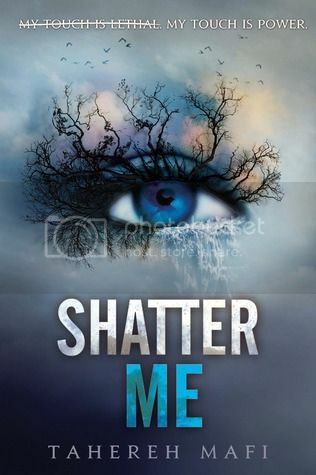 Shatter Me by Tahereh Mafi -I love Mafi's writing, it's so insanely good. 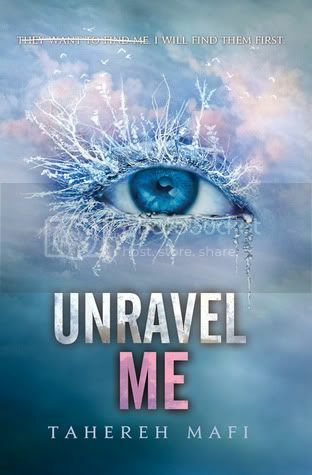 I enjoyed reading Shatter Me so very much, and I'm dying to get my hands on Ignite me! 3. 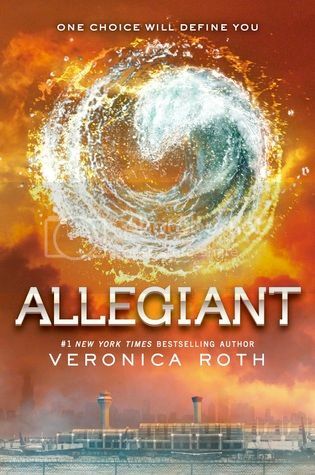 Divergent by Veronica Roth - I was a little late getting on the Divergent bandwagon, but I read all three books this year, and really enjoyed the series. 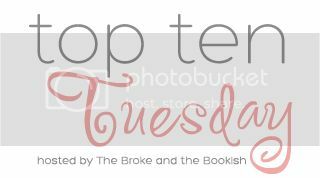 I actually enjoyed the first book the most, that's why it's on this list! 4. 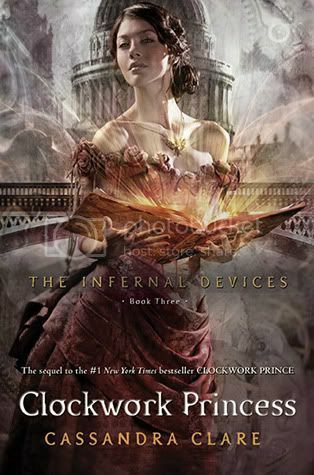 Clockwork Princess by Cassandra Clare - I was both excited and anxious to start this book. Of course I wanted to read it, but I really didn't want the series to end! GAH! I thought it made for a really good ending, however. 5. 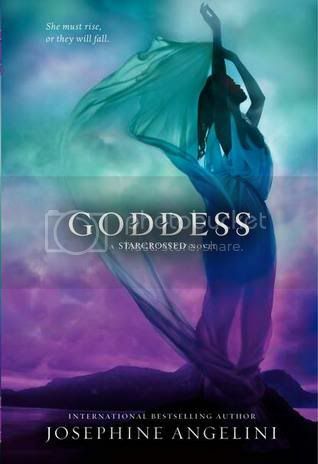 Goddess by Josephine Angelini - I adore Josephine Angelini, and I love her 'Starcrossed' series. If you haven't read it yet, you definitely should! It's so great. I can't wait to see what Angelini has in store for us with her next series, it sounds amazing too! 6. 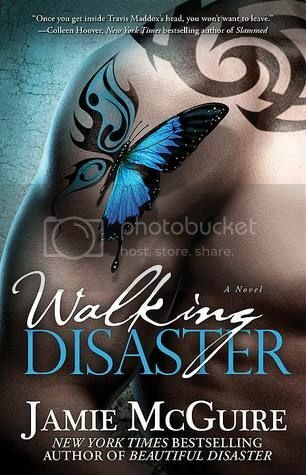 Walking Disaster by Jamie McGuire - Sooooo, I love this series, even though I do have issues with it. Reading Walking Disaster made me love Travis even more than I did in Beautiful Disaster. Great book! 7. Pawn by Aimee Carter - I was SO very excited to start Aimee Carter's newest series. 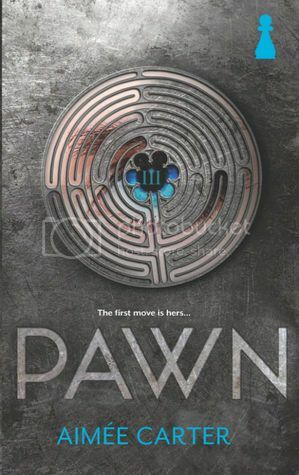 I love her 'Goddess Test' series, so I knew that Pawn would be great. It definitely did not disappoint! 8. 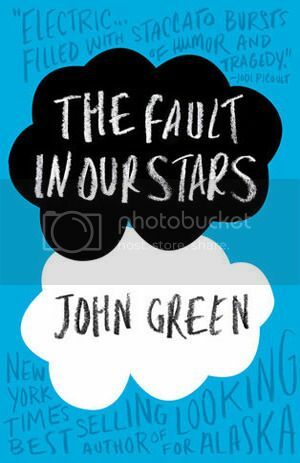 The Fault in Our Stars by John Green - Yet another book where I was late on the bandwagon. The Fault in Our Stars. This was my very first John Green book, but it definitely won't be the last. 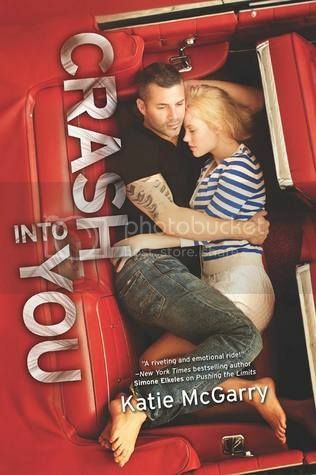 I loved this book so much, and I totally see why everyone else loved it as well. 9. 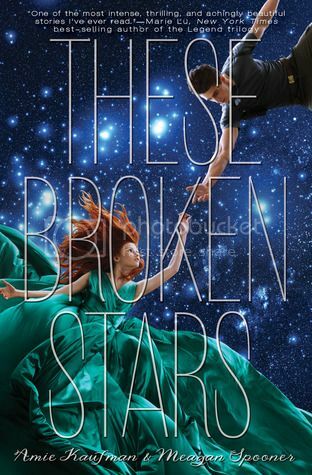 These Broken Stars by Amie Kaufman & Meagan Spooner - I requested this book because so many people had raved about the story. I am SO glad that I did decide to pick it up! This book was awesome, a definite must read! 10. 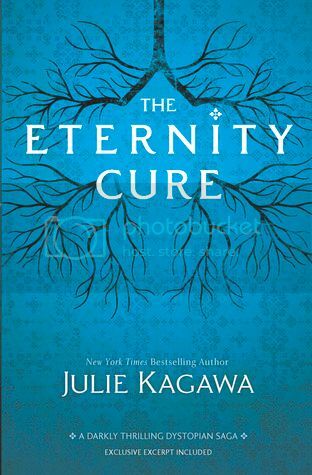 The Eternity Cure by Julie Kagawa - I love Julie Kagawa. All of her books are amazing. 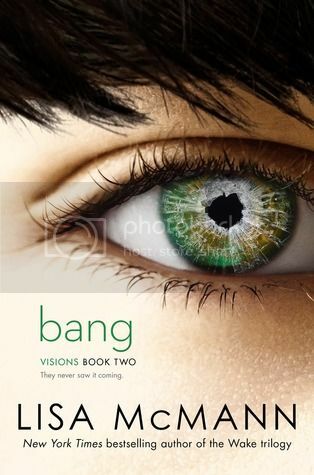 This book ended with a MAJOR twist, and now I'm dying to get my hands on the third book. Hopefully soon! 11. 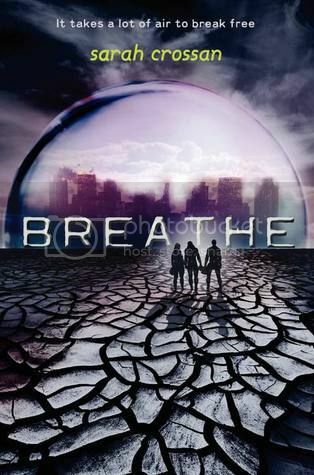 Breathe by Sarah Crossan - This book had been on my to-read list for a while, and I finally decided to read it and it's sequel. More people need to read this book! It was beyond great. Check it out! 12. Eleanore & Park by Rainbow Rowell - I just recent read and loved this book. I was excited to finally read it, as I had heard nothing but good things about the book. It made for a really great read! That's my list of Best Books of 2013! 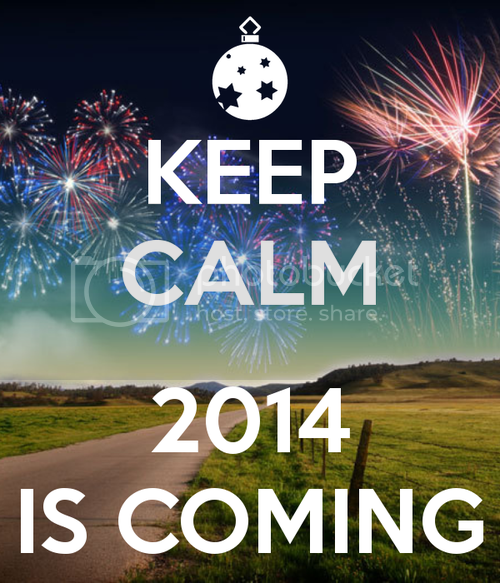 Now, bring on the awesome reads of 2014! 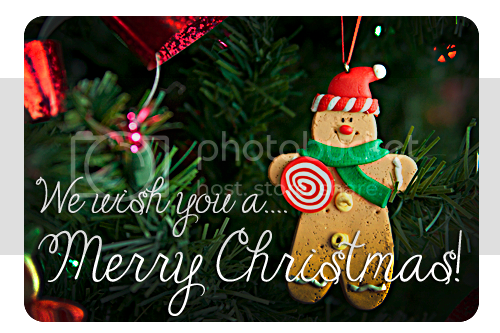 May your heart and home be filled with much love and the joyful spirit of the holidays. 1. 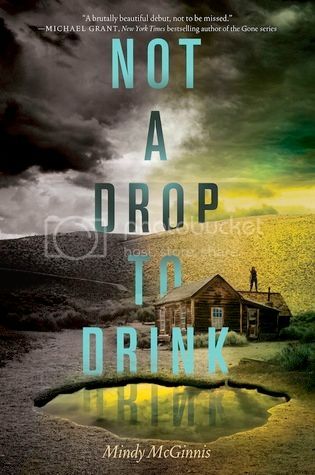 Not a Drop to Drink by Mindy McGinnis - I've recently heard some really, really, really great things about this book! It sounds like it will be an awesome read. I want, I want! 2. Through the Zombie Glass by Gena Showalter - I read the first book in this series not too long ago, and now I'm dying to get my hands on the second book. This series is SO good. I would love to have both books in the series! 3. Monument 14 by Emmy Laybourne - I've had my eye on this book for a while now, and I'm dying to add it to my collection! (And the second books as well! 5. 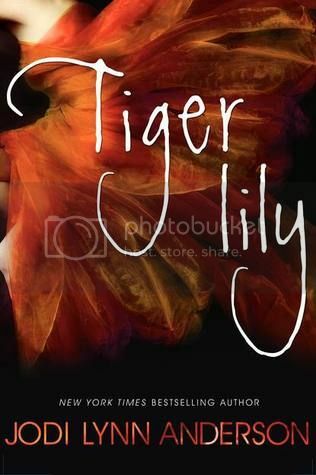 Tiger Lily by Jodi Lynn Anderson - I'm sooooooo very excited for this book. I would LOVE it if Santa would bring it to me. I'll be reading it next year with my book club ladies, and I can't freaking wait to start it! 6. I Hunt Killers by Barry Lyga - This is another book that I have heard many great things about. My book club ladies recommended it to my as well, and I'm super curious to check it out now! 7. Sisters Red by Jackson Pearce - I keep meaning to buy this series, and I always put it off for some reason or another. I love fairytale books, and I would love to have this! 8. Perfect Chemistry by Simone Elkeles - So I got a little taste of Elkeles writing earlier this year when I read Wild Cards. Now I'm dying to get my hands on her Perfect Chemistry series! I've heard nothing but good things. I want this on my shelf! 10. 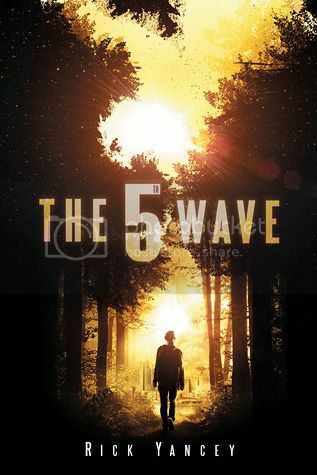 The 5th Wave by Rick Yancey - Am I the only person in the world that hasn't read this book yet? I've been wanting to read it for a while now, and almost snagged it at the library recently. I'd love to add it to my collection! I wanted to choose books that have already been released. It would be kind of hard for Santa to bring a book that hasn't been released, right? These are just a few books that I would really love to have. Eleanor & Park is the very first book that I’ve read by Rainbow Rowell, and I really, really enjoyed the book. To be honest, I was a little worried when I started reading the book because it had gotten such raving reviews. I was worried that the book wouldn’t live up to the hype. But it definitely did, thank goodness. I absolutely love that the main character in the story. Eleanor is so very far from perfect. She’s not slim and popular, and her home life is anything but normal. The reader absolutely has to feel bad for everything that she has been through in her young life. But I love Eleanor so much. She really is like no other character that I have ever met in a YA book. Park was so very sweet, and just as awkward as Eleanor was. He had a really great sense of humor, and was very swoon-worthy at times. I absolutely love this relationship between these two rare characters. You wouldn’t think it in the beginning, but Eleanor and Park are SO perfect for each other. 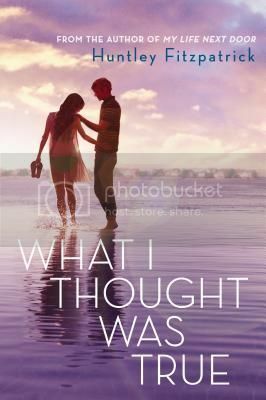 Since the author chose to tell the story from both characters point of view, I was able to feel exactly what both characters were going through. They came from such different lives, and their perspectives on the world were so very different, yet they still have so much in common as well. Together they made their relationship work the best way they could. Can I also mention a few characters that I absolutely hate? The most being Eleanor’s stepdad? What a freaking joke! As for her mom… get it together, lady! This is your daughter you’re messing with! Ugh. These are the types of parents in YA that I really want to smack upside the head. It was so very disappointing. I have really mixed emotions about the end of the book. It just felt really brief. I wanted to know more about what happened with Eleanor, and with her family as well. Who was bullying her at school? WHAT DID THE POSTCARD SAY? (I’ve got a guess about what was on it, but I’m not 100% sure about it.) What did the future hold for Eleanor and Park? I NEED TO KNOW MORE! Overall, this was my first Rainbow Rowell read, but it definitely won’t be my last! I can’t wait to checkout Fangirl next! 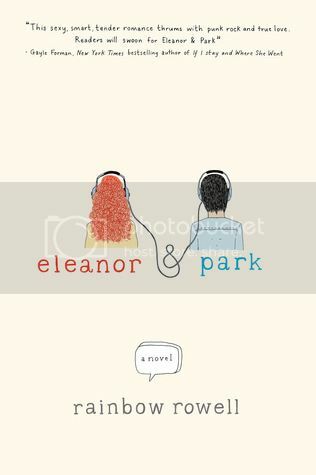 If you’re a fan of contemporary novels, you’re definitely going to love Eleanor & Park. Losing Hope is the second novel that I have read, and thoroughly enjoyed, but Colleen Hoover. I read Hopeless a few weeks ago, and really loved the story. I loved reading Losing Hope through Holder’s eyes. It was so different than what I actually expected, but I loved every minute of it. Dean Holder is such an amazingly complex character. He is filled with so many emotions and with so, so much guilt. For so long he lived with the guilt for the loss of his best childhood friend, and then even more with the loss of his twin sister. I felt his pain in so many ways. Then he meets Sky, and his world completely changes. I love how he felt for Sky, it was so insanely sweet, even at the times he was acting completely insane. It was interesting reading the book from Holder’s point of view, because I often wondered why he did some of the things that he did in Hopeless. Now that I know his story, I love him even more. Losing Hope follows the same storyline as what is in Hopeless. So we already know what is going to happen. But Hoover still managed to take the same story and add in so much more new information, so that it kept me completely hooked. To be honest, I was really worried about reading this book and it being the exact same story as in the first book, but it wasn’t. Yes, there was some repetition, but not nearly as much as I expected. And I love all the new stuff that we didn’t get to see in the first book. Overall; I loved the story in Losing Hope just as much as I did for Hopeless. 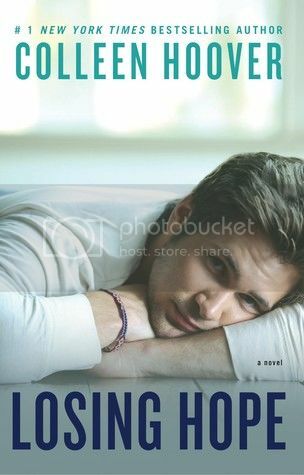 It was so great seeing Holder’s point of view, because I really loved him since I first met him in Hopeless. This series is really great. If you are a fan of New Adult Contemporary, and you haven’t checked this series out yet, I definitely recommend that you do. These books are totally worth the read. And now I can’t wait to read more from this talented author! 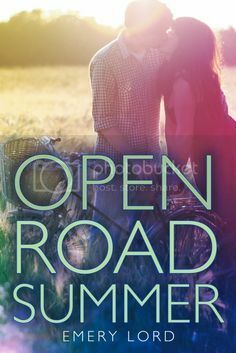 From the author of My Life Next Door comes a swoony summertime romance full of expectation and regret, humor and hard questions. First off-- Both of the these books have AMAZING covers! And the stories sound fantastic as well. I'm really looking forward to checking both of these books out! 1. John Green (The Fault in Our Stars) - Ok, so I definitely got a late start on this bandwagon. But I am SO glad that I finally read this book. Now I'm dying to read more! 2. 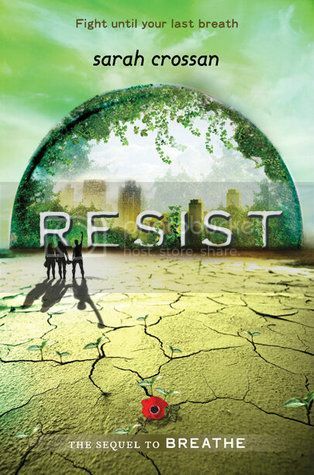 Veronica Roth (Divergent) - Yet another bandwagon that I stumble upon late... 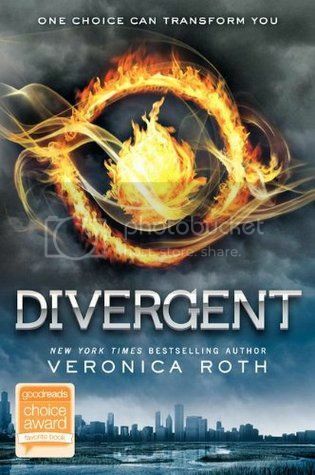 I started the Divergent series earlier this year, and really enjoyed reading it. 3. Simone Elkeles (Wild Cards) - Can you believe it? I had never read a Simone Elkeles' book until this year. Now that I've read the beginning of the Wild Cards series, I'm dying to get my hands on the Perfect Chemistry series! 4. 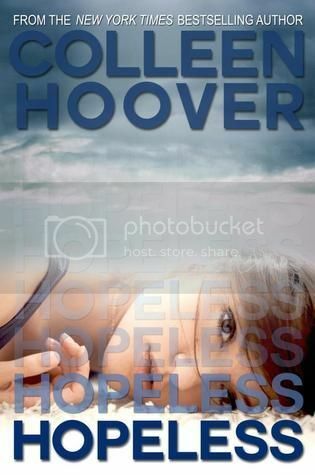 Colleen Hoover (Hopeless) - I'd seen SO many good reviews about this author, I just had to check her books out. I'm SO glad I did. Hopeless was a great read, and now I'm reading Losing Hope, which I am really loving as well. 5. Gena Showalter (Alice in Zombieland) - Yet another author that everyone seems to love, but that I had never read. After reading Alice in Zombieland, I'm ready for more! I may check out her adult series as well. 6. Sarah Crossan (Breathe) - I read both books in Sarah's series earlier this year and really loved her creative storyline. I'm looking forward to seeing what she comes up with next. 7. J.A. Redmerski (The Edge of Never) - I read the first book in this series earlier this year as well, and fell in love with the story. She had SO many books, I need to read more! 8. Courtney Summers (This Is Not A Test) - I literally kicked myself when I finished reading this book for not reading it sooner! Excellent author! 9. 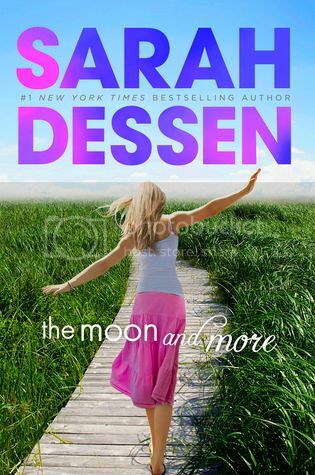 Trish Doller (Where the Stars Still Shine) - I really, really, really enjoyed this book! Doller has such a great voice in her books. I can't wait to read Something Like Normal! 10. Cristin Terrill (All Our Yesterdays) - Ok, I literally just discovered this author last week. I really enjoyed reading her time travel book, it was so creatively unique. I'm anxious to see what she has in store for us next! 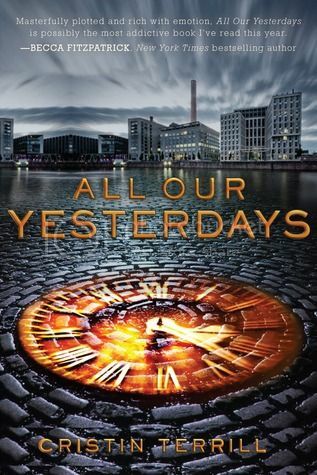 I haven’t read many time travel books, but All Our Yesterdays is definitely one of the better ones that I have read. I was a little worried when I started reading the book that it wouldn’t live up to all the hype that I have seen about it. But it did. I found the book to be a very addictive read. The characters in the story were all very well written, especially in the way that we get to see two completely different versions of each character -- the people that they started out as, and the hardened characters that they had become in such a very short amount of time. The story was told through past and present versions of Marina, and her future self, Em. I thought this was really creative way to read the story, because even though it was from the same person, if felt like it was coming from two completely different people. In a way, I guess that it was. The time travel aspect of the book was definitely interesting. As I mentioned before, I’ve only read a few time travel books in my time. This one definitely manages to stand out from the rest, not only with the plot, but also with the dystopian type future that the story starts out in. Add in the interesting characters, this really made for a fascinating read. 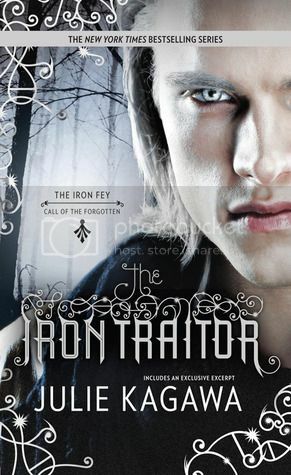 I was really surprised after reading the ending of the book to see that there is going to be a sequel in the future. I thought the book closed off very nicely, but I’m curious to see how the author is going to work another story around the ending of this book. I guess since the story is related to time travel, it would be possible. Overall; this book definitely had me intrigued, and I enjoyed reading it. I don’t have much to compare it to, but it’s definitely one of the best books I’ve read that have dealt with time travel. Have you read the book? What did you think about it? 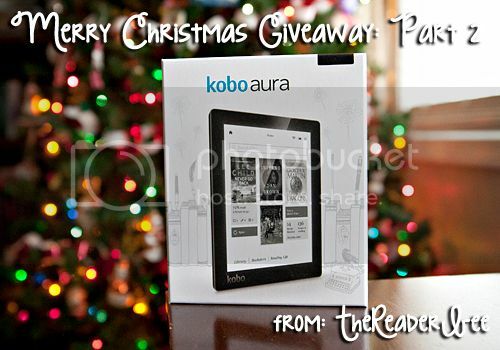 Today I'm giving away a Kobo Aura e-Reader! September for me to review on the blog. 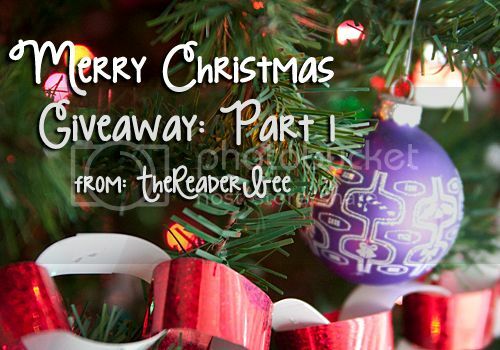 it aside to giveaway to one of my lucky readers for Christmas! So now it's your chance to have this awesome little device! 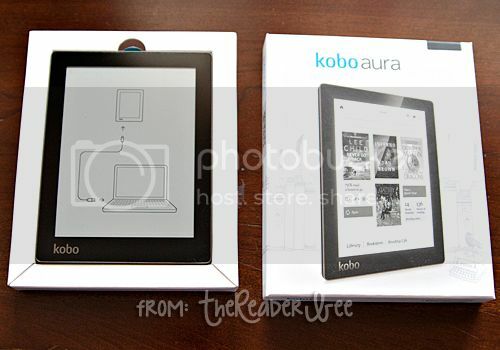 Would you like to have this Kobo?? and will have 48 hours to respond. A new winner will be chosen if no response is given. Merry Christmas Giveaway Part 1: A 2013 Favorite Read! I read some really great books this year! and now I want to share one of these awesome books with you. One lucky reader will win one of the books on the list below. ONE (1) person will win ONE (1) of the books listed above. Be sure to check back tomorrow for Part 2 of this event! I'll be giving away something really special!